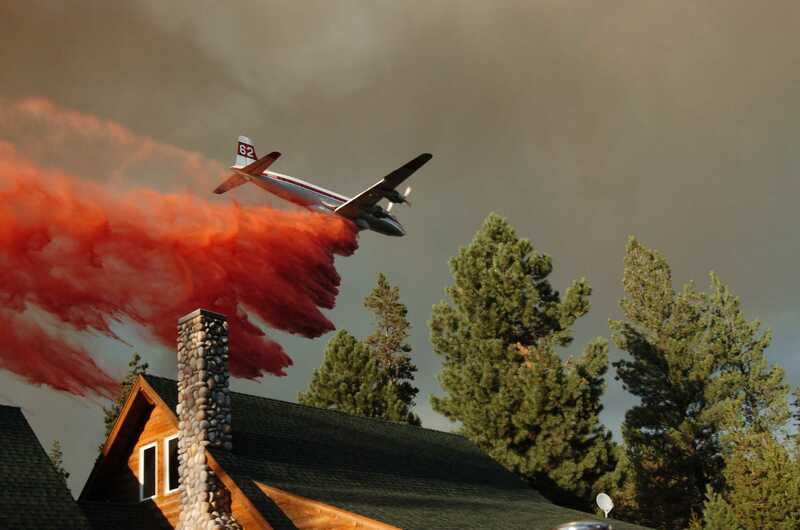 Fire, fuels and aviation programs for the Forest Service and BLM are combined in Central Oregon. 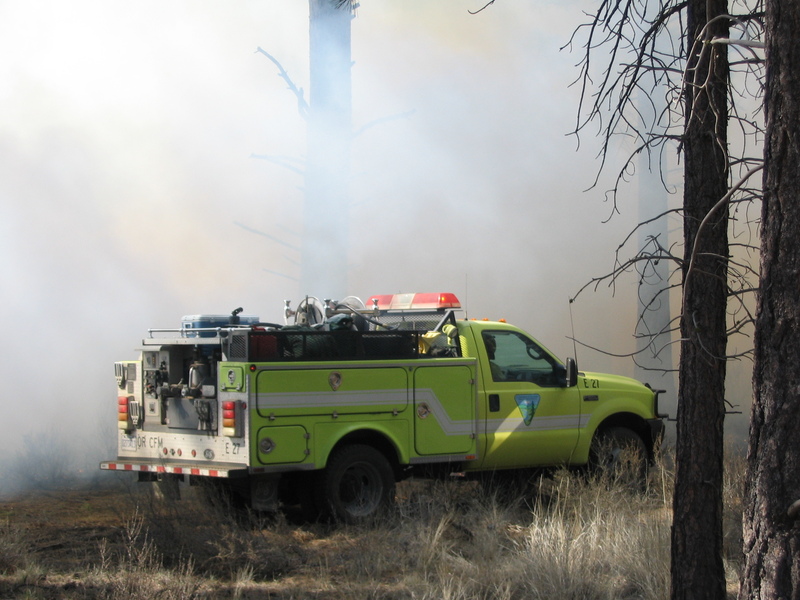 The program, called Central Oregon Fire Management Service (COFMS), includes the Deschutes National Forest, the Ochoco National Forest, the Crooked River National Grassland, and the Prineville District BLM. These four units are managed cooperatively under combined leadership, with decision makers from both agencies. 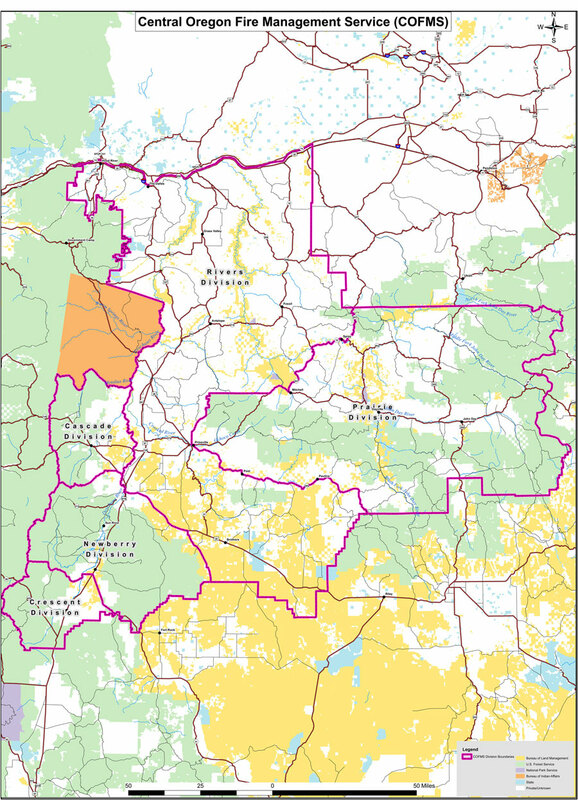 The COFMS boundary (COFMS Boundary Map) has been divided into five planning units called Divisions to facilitate fire suppression and fire management activities. Although the areas work together to complete projects and suppress fires, each Division has its own Fire Management Officer (FMO), Assistant Fire Management Officers (AFMO), and staff. 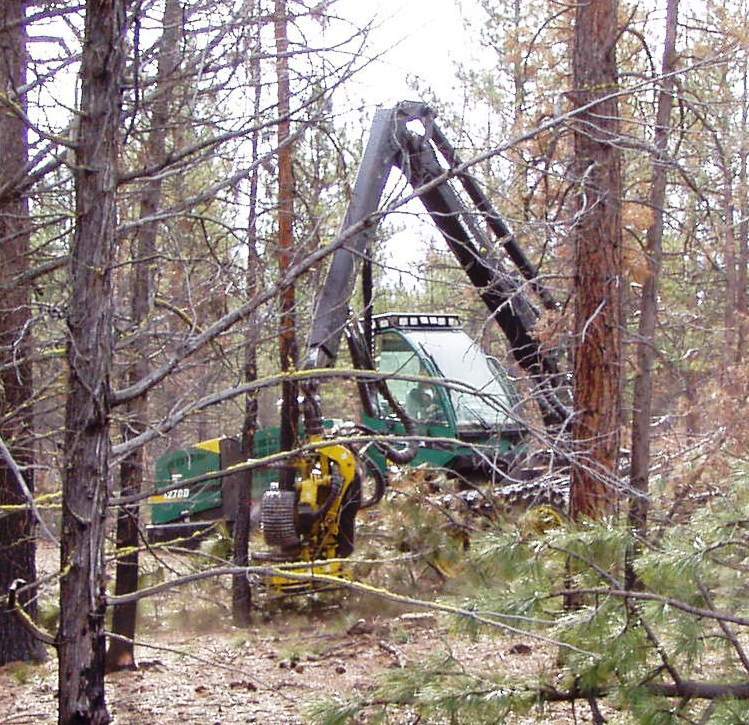 COFMS also partners with the Oregon Department of Forestry for fire protection. 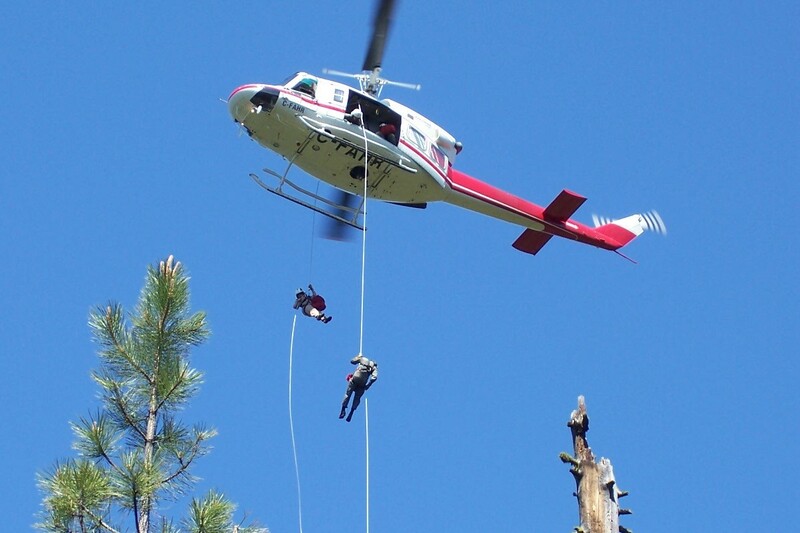 Central Oregon is also home to several National Resources such as smokejumpers, two hotshot crews, and several airtankers, as well as several Regional Resources such as rappelers and helicopters. For more information on COFMS or for more general fire information, please follow the link to the Deschutes and Ochoco National Forests’ webpage. 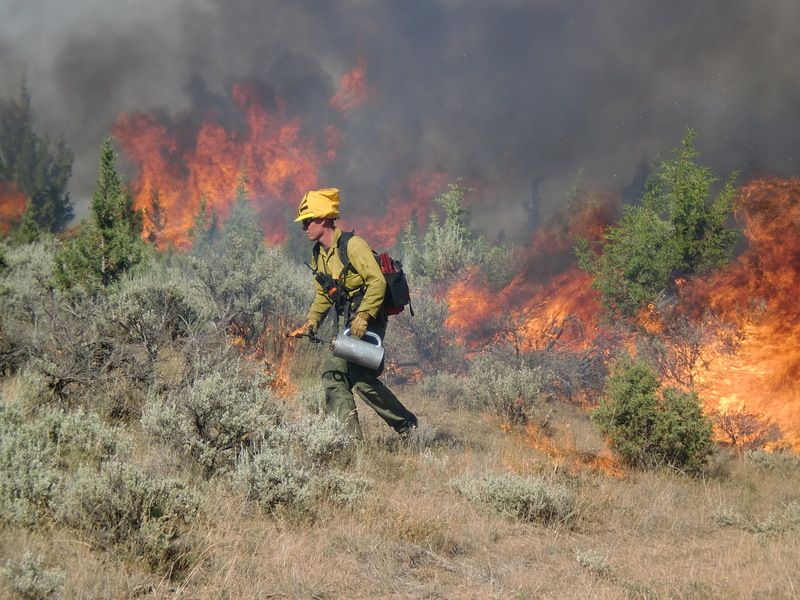 Follow the link for "Fire Information" on the right-hand side of the page to learn more about fire suppression, fire ecology, and fuels programs in Central Oregon.